For a long time we’ve associated hair loss and baldness with old age. Unfortunately, with modern age stress, pollution, toxins in our food and many other factors people are starting to lose their hair much sooner and it’s a really unpleasant situation. It’s one of the biggest causes of concern among both men and women. It impacts their self-esteem and affects the way they think about themselves. In such situations, the affected persons try everything they can to regain their previous look, but quite often their efforts are in vein. The chemical products everyone is advertising usually don’t work as well as they should, and the ultimate resort, hair transplantation is very costly, so not everyone can afford it. So what are you supposed to do when nothing seems to be effective? Are there home remedies for hair growth? We’re here to offer a piece of advice, and it may be the best you’ve had so far. We’ve discovered the best solution for hair loss and baldness, and it works like a charm. Best of all, it’s 100% natural, effective and you can make it yourself in the comfort of your very own kitchen. All you need is three ingredients and a step by step guide how to make it and apply it. And it won’t cost you almost anything at all. You’ll need to mix all the ingredients in a small bowl and stir them well until they are combined. Massage your hair roots with this mixture gently and thoroughly, and apply the rest on the entire length of your hair. With a shower cap cover your hair and leave it on for 2-4 hours. Afterwards wash your hair like you normally do, with shampoo and conditioner or hair mask. Repeat this procedure once or twice a week for about two months and you’ll be surprised. Why are these three ingredients important for hair regrowth? Let’s start with castor oil. It’s been used for centuries for hair loss treatment and that’s because it has numerous health benefits. It’s antibacterial and antifungal and it’s very powerful against dandruff, folliculitis and scalp infections. It also contains ricinoleic acid which improves the blood flow to your scalp and stimulates hair growth. It was proven that it can boost hair growth up to 3-5 times. 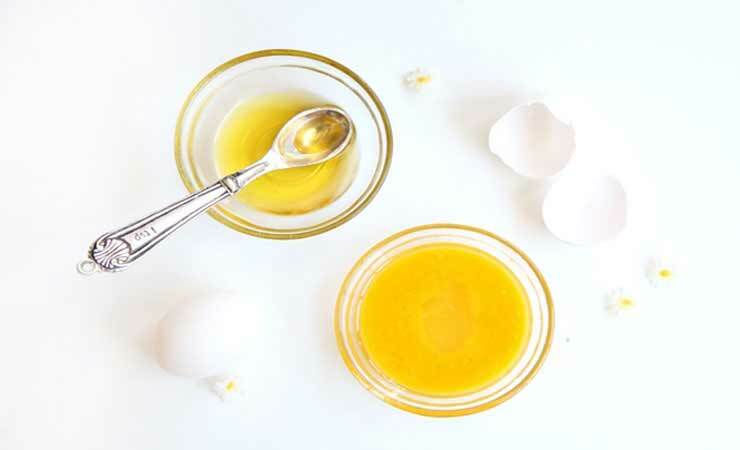 Egg yolk contains a lot of proteins and amino acids and it supplies the hair with all the much needed nutrients for a healthy and fast growth. It is also rich in biotin which renews hair roots and follicles. Honey is a powerful antioxidant and has strong anti-germicidal and anti-fungicidal properties as well. All of these plus the natural wax it contains make honey a great conditioner and excellent in preventing hair loss. Imagine all these benefits combined in one special mix! The results from this treatment will be amazing. You’ll regrow your long and luscious locks in no time. You’ll be self-confident and feel and look amazing. Try this recipe out, as one of the most effective home remedies for hair growth, and we promise you won’t regret it. It’ll be the best decision you’ve made in a while.